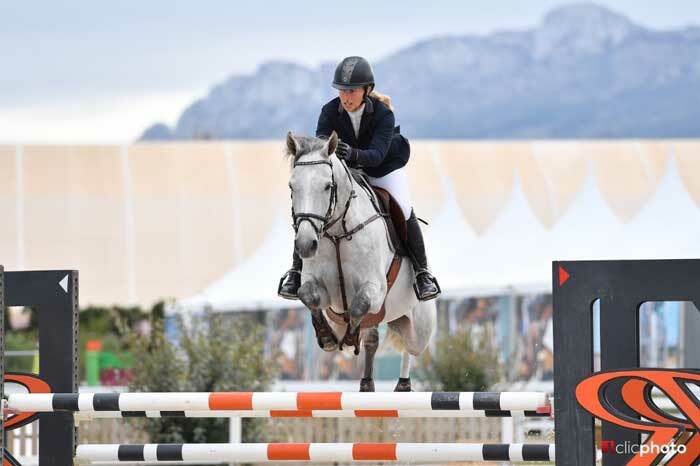 It was the young horses’ turn to take to the spotlight in Oliva Nova, Spain on Wednesday, as the first Tour of the Autumn MET 2018 hosted the finals for the 5, 6 and 7-year-old horses – presented by Trofeo AJA – Ambassadors Jumping Association. 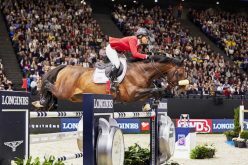 The 7-year-old horses jumped the biggest track today, set at 1.40m and ten out of the 31 horse-and-rider combinations managed to produce clear rounds to move on to the jump-off. 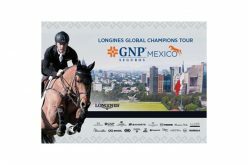 Against the clock it was Slovenia’s Gaj Riossa on Grannuschka (Con Chello x Landherr) that was the fastest, when crossing the finish line in 36.03 seconds. 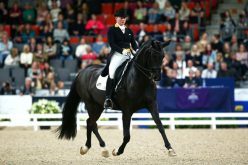 France’s Laurent Guillet followed in runner-up position on Bracadabra (Pacific des Essarts x Couleur Rubin) in a time of 36.17 seconds, while third place went to Belgium’s Constant Van Paesschen on Bugano de l’Abbaye (Ugano Sitte x Made In Semilly) with the time of 36.51. 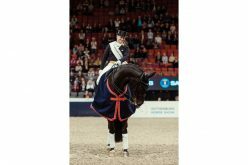 For the 6-year-olds, British rider Jane Annett took two of her own horses to the top after producing double clear rounds over the 1.30m track. 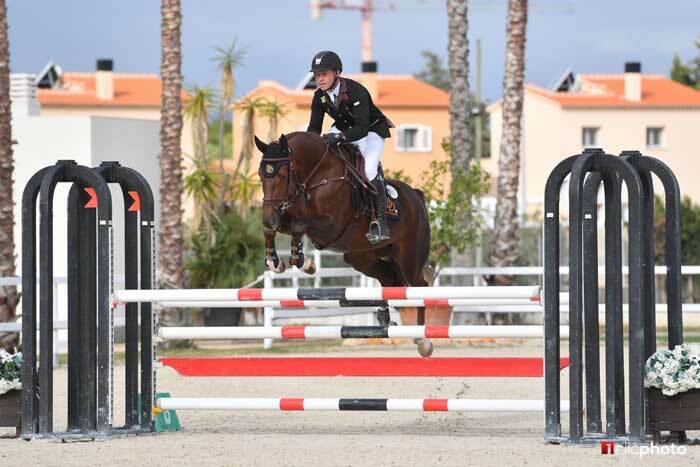 With Quissini LS (Quidam de Revel x Cassini II), Annett brought home the win but did not stop there as she also placed second with Cliasira BH (Chacco-Blue x Sandro Boy) in this 19-horse jump-off. 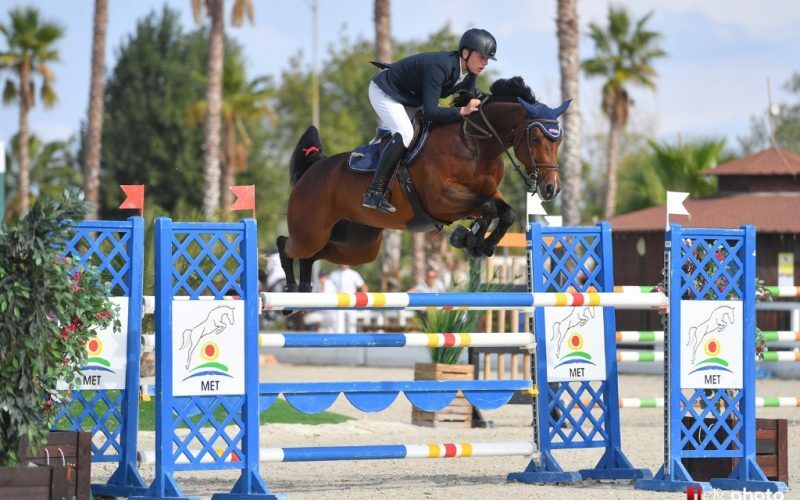 Third place went to Switzerland’s Fabio Crotta on Demantur de Muze Z (Diamant de Semilly x Calato Z), who was two seconds behind Annett’s winning time. 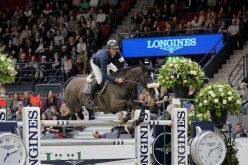 No less than 21 of the 5-year-old horses made it to the jump-off after producing clear rounds over the 1.20m course build for their final. 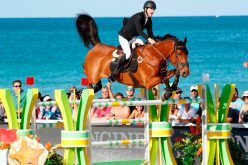 Needless to say, it became a fast affair against the clock and quickest of all was Ireland’s Damien Dixon on Diarado’s Girl TW (Diarado’s Boy x Chacco-Blue) that brought the time all the way down to 29.66 seconds. 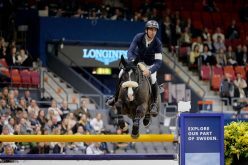 In second place followed Germany’s Rene Dittmer on Crossover 4 (Cascadello x Chacco-Blue) with a time of 31.15, while Switzerland’s Niklaus Schurternberger took third place on Chronos (Casalito x Corrado I) after stopping the clock on 31.25 seconds. 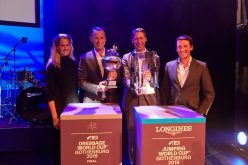 The first Tour of the Autumn MET 2018 runs through to 14th of October, with the highlight being Sunday’s CSI2* Grand Prix where expectations will be high with top names such as Scott Brash (GBR), Ben Maher (GBR), Meredith Michaels-Beerbaum (GER) and Julien Epaillard (FRA) on the start list. The Tour then takes a short break before it resumes with its second and last part, running from October 23rd to November 11th. For full results from the finals today, click here.